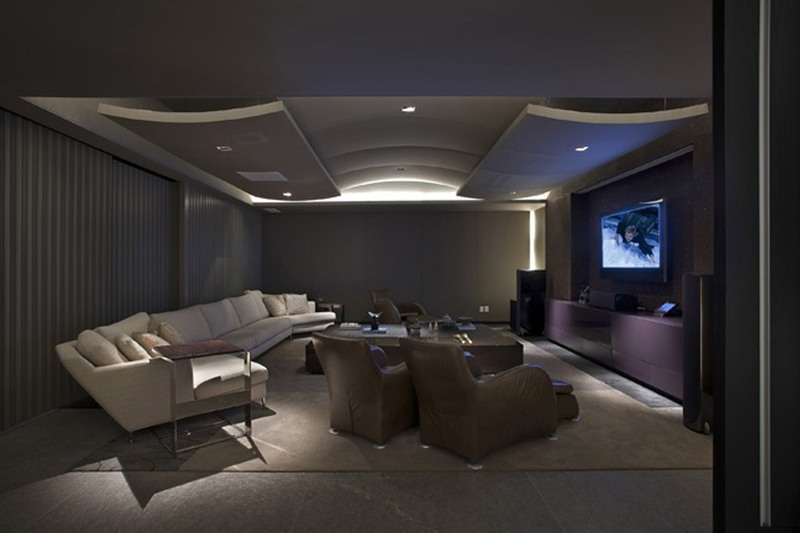 The main idea of this home theater was to have a special space to watch movies integrated flexible enough to go along with the other entertainment spaces around it, such as the living room and the gourmet kitchen. 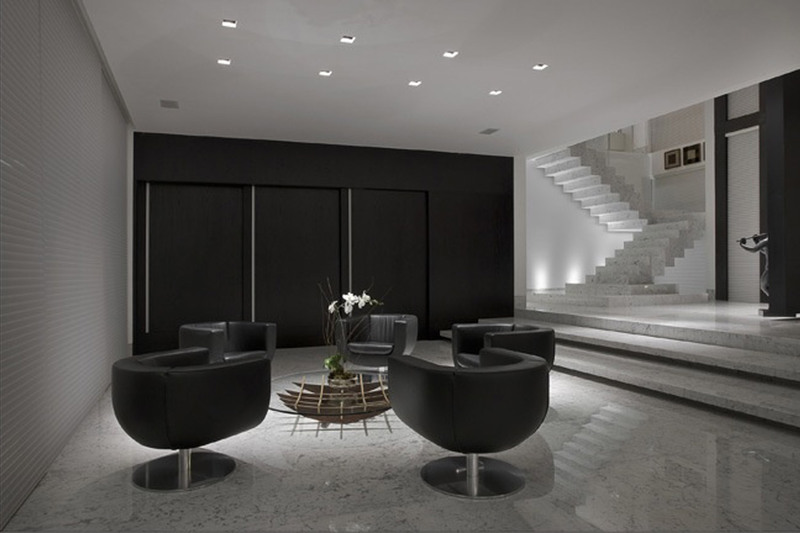 Should be acoustically balanced, aesthetically and physically integrated with the other environments, and also be capable to be cozy and intimate for family reunions. 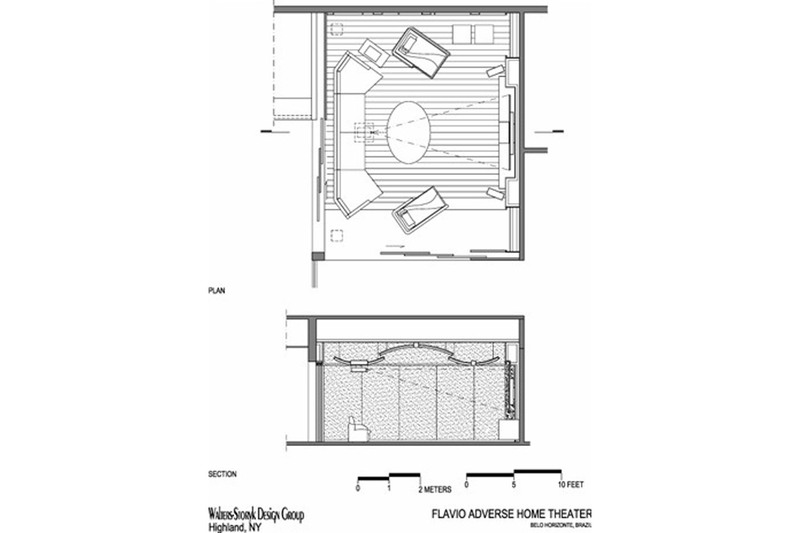 WSDG was invited to accomplish the aesthetical and acoustical needs of this room. 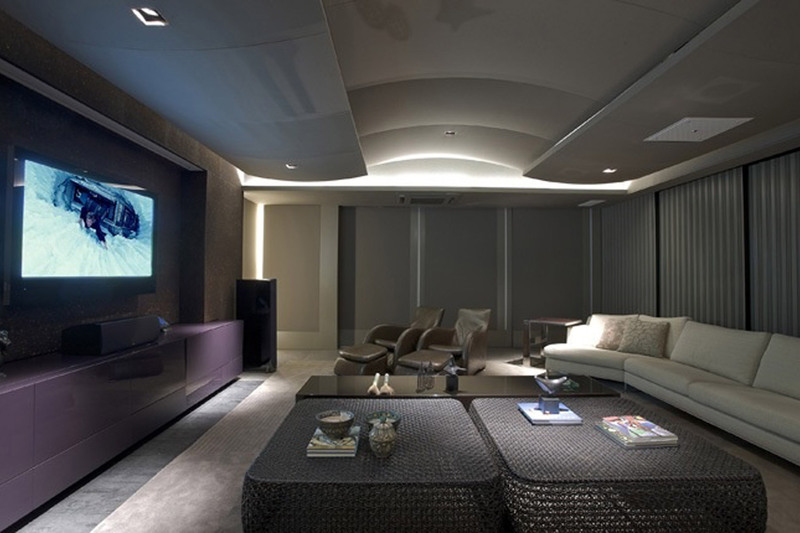 To combine the home theater to the other social areas of the house sliding doors were installed at both sides of the almost 470 sq. ft. room. On one side three sliding doors received wood finish on the outside and an absorption treatment covered with fabric on the inside. The other set of doors received wood – as the others – on the outside and rule shaped QRD diffusers on the inside for reflection control of sound. 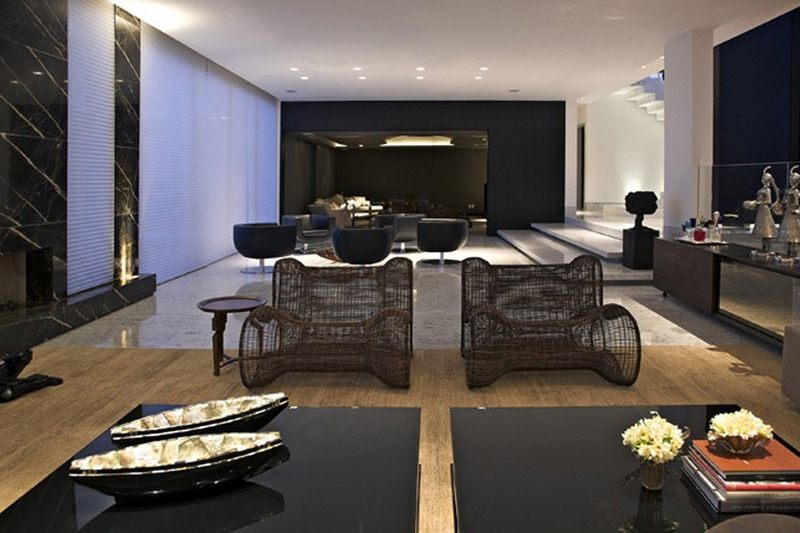 On one of the walls strips of fabric and wood were made to help to keep symmetry with the sliding doors and meet the acoustical need, controlling the first reflections. 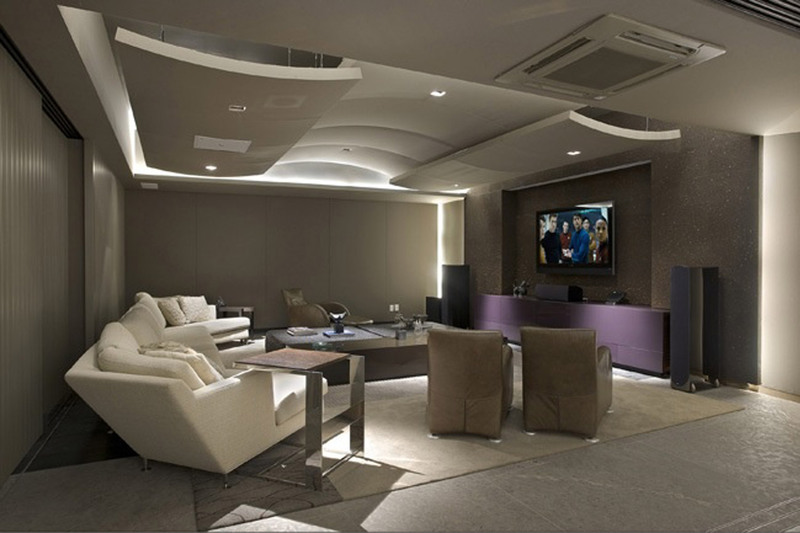 The ceiling received a curved shaped diffuser cloud in fabric giving movement to the room; and draws attention to the front wall, that works as a low frequency absorber finished with a thin layer cork with a niche to fit in the projection screen and a custom made build-in pantry to set some of the equipments.